You have thought about starting a blog, but always put it off, because tech stuff really scares you? You often wondered how top bloggers actually make money? - and what training they had to become successful? Or you might be a freelancer / business owner trying to use the internet to spread the word about your products and services? 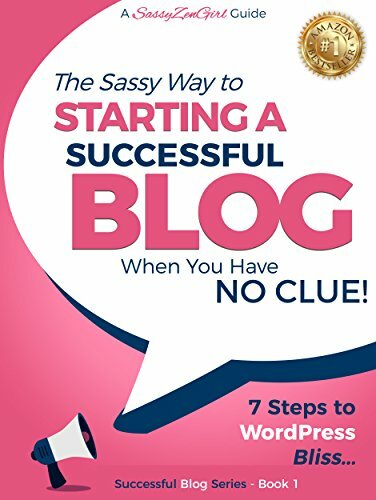 This book will teach you how to start a cool blog the smart way - no prior experience is necessary - and you might even have fun along the way…. While some guides promise to get you started with a blog in under an hour - or even 5 minutes - the reality is quite different. Like with anything new there is a small learning curve and the occasional frustration. Sure, you can rush through it and quickly set something up - without any design or features. But that’s probably not a good success strategy. This book is not about starting a “quickie” blog, but about building a solid foundation for long term success. This includes advice from some of the most successful bloggers in the world, like the guys behind ProBlogger, CopyBlogger, Moz and BoostBlogTraffic who have generated a combined income of more than 50 Million Dollars through their blogs. Starting a successful blog is not just about learning the technical aspects.That is only the beginning - and even there your choices can make or break you, right from the start. We will cover the different aspects you need to consider for each of the 7 Steps described in this book, including choosing a marketable domain name, a good hosting company, mailing list services - and monetizing strategies. Thanks to an amazing software called WordPress, it has become very easy to start and manage a blog without paying expensive designers or learning complex “code”. More importantly, it will soon become fun to design your own site and update it yourself. You might even help others to start their blog…. This book follows a proven 7-Step formula with numerous screenshots to illustrate each step. It will give you the tools to get started with your new blog in easy-to-understand language and provide you with a massive resource chapter for further training. Step #1: Web Software - What is WordPress and why do most successful bloggers use it? Download now and learn how to start your blog today!